We don’t make blanket “one-size fits all” offers like many note buyers do. We will tailor a fair offer on whatever fits your goals. Need cash now but want to keep your note payments for the long-term? Great, we can buy a certain # of your payments then you take the income stream back over afterwards. See a couple examples below. Then let us make you a fair cash offer on all or part of your remaining note payments. Here Are Some Examples Of How Arizona Note Holders Can Get Creative In Turning Future Payments Into Cash Today. 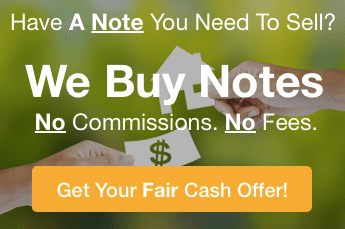 There are lots of different ways you can structure the sale of all or part of your note, here in AZ and the surrounding states, to help you get the cash you need on your terms. As you know, there’s a tradeoff of time vs. money when selling your mortgage note. The known vs. the unknown. These 2 examples below help walk through a couple scenarios to give you an idea of some of the options you have to sell your note to Pinnacle Funding & Investment Group, LLC, one of AZ‘s trusted note buyers. Let’s say you have a first position $100k private mortgage at 10% for 10 years with 8 years remaining and you’re receiving monthly payments of $1,321.51. The present balance of the note is $87,089.30. You can sell 43 payments to Pinnacle Funding & Investment Group, LLC for $39,777.00* in cash today, then you’d receive the mortgage back after those 43 payments… and you can continue to collect the remaining 53 payments at $1,321.51 per month for a total of $70.040.00. $39,777.00 cash today plus $70,040.00 for the remaining 53 payments. Let’s say you have a first position $50k private mortgage note at 10% for 20 years with 10 years remaining and you’re receiving monthly payments of $482.51. But the borrower has been late on their payments… and even missed a few payments recently and you just don’t want to have to worry about chasing them for payments or foreclosing on the note. You can sell the remaining 120 payments to Pinnacle Funding & Investment Group, LLC for $24,967.00* in cash today and be completely rid of even having to think about that note or the payments being made ever again. We’ll take the note over, any collections headaches, and if the borrower stops paying… that’s our problem NOT yours. Your Benefit: You’ll have immediate use of $24,967.00 in cash rather than waiting 10 years + the headaches of dealing with this flaky borrower are gone! * The purchase amounts in the examples above are for illustration purposes only. See what we can offer you on your AZ note today by calling (602) 726-9688 or submit your info in the short form above to get started.